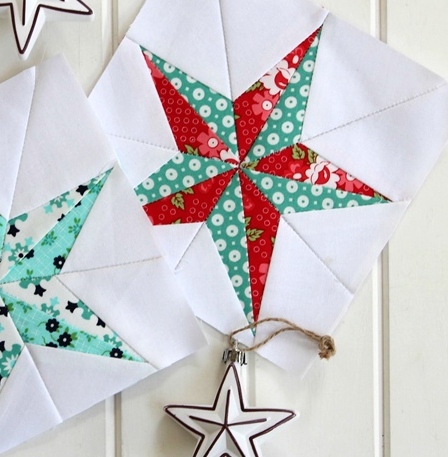 There's a flurry of Christmas sewing going on across the internet at the moment. 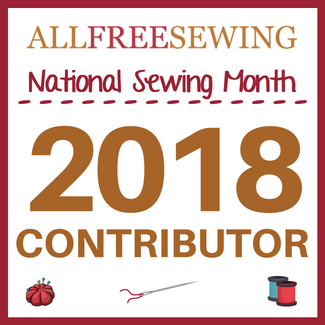 Its lovely to see so many gorgeous gifts being made and exchanged, with so much thought and love sewn into each and every stitch. Instead of giving you a pattern this year, I decided to design a free Christmas block which can be used in what ever project you are planning or working on during this festive season. I kept it simple; a two toned paper pieced, five pointed star which is perfect for Christmas and all of those projects you may have planned. I've drafted templates for the four sizes which I think are the most useful; from a tiny 4"- to the larger 10" and I think they are cute to use as part of a larger project or as a focal block for smaller projects. Aren't Bonnie and Camille fabrics perfect for Christmas sewing, or any project for that matter? I love these colour combinations; one so festive and the other more icicle/winter inspired. 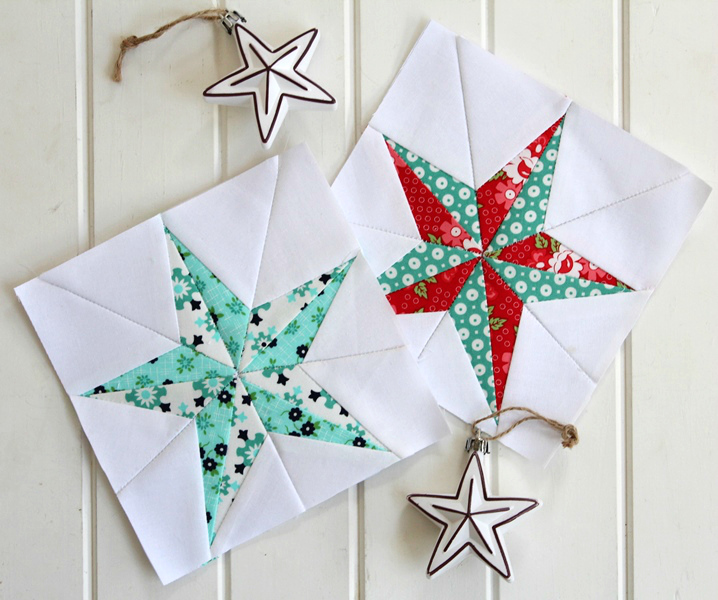 My free Christmas Star pattern includes full instructions, diagrams and all the templates required for each size, plus a colouring sheet to help you with fabric/colour selections prior to sewing. 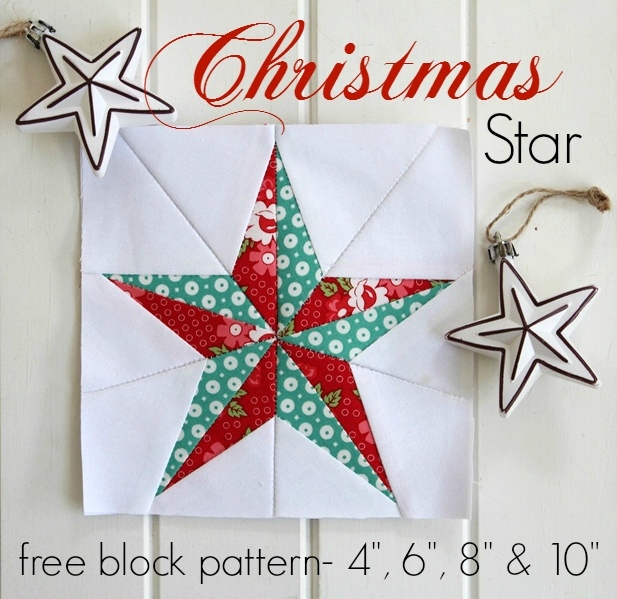 To download and print my free Christmas Star pattern, just visit HERE. Rose, these stars are just beautiful! I hope to get a few done before Christmas or at least to enjoy for the winter here. Thank you for sharing your pattern...you are very generous! thank you so much, Rose. It's a beautiful design, and I love your patterns because they are very fine explained. Thank you. Have a good day. Such a pretty star! Thank you. Opps! 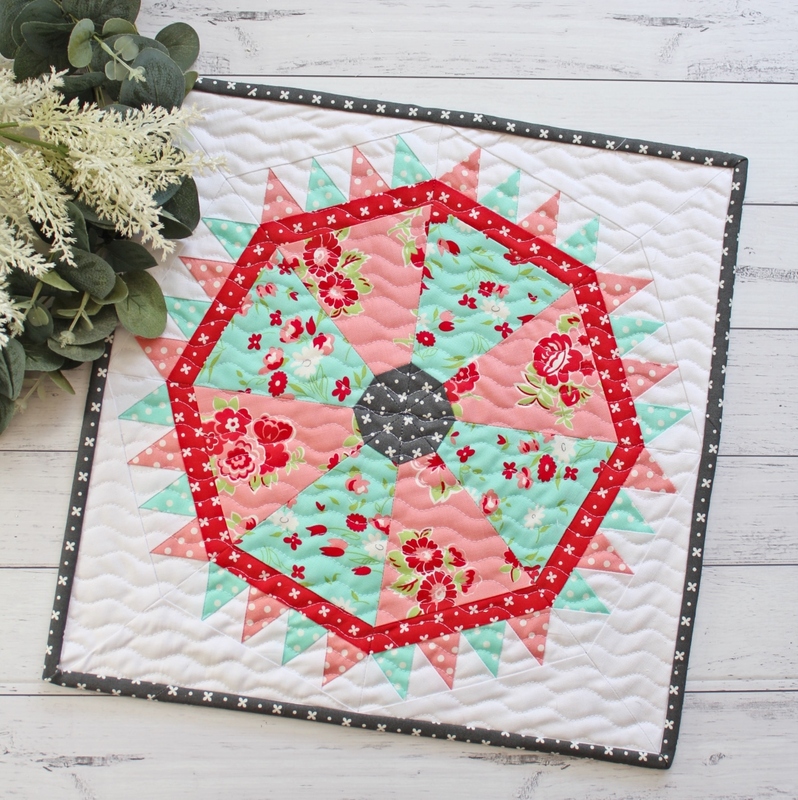 Went and downloaded your pattern and closed your blog before thanking you for the lovely pattern! So, thank you for the Christmas star! Oh, my goodness - this is just brilliant! Thank you for sharing it!!! Thank you for the lovely free pattern. Will add it to my list. Thank you for the pattern. I live in Texas, USA and we are always looking for star shapes. 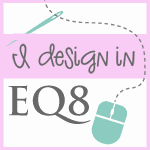 I will start following your blog. Someone posted a photo of the block onto Pinterest that is how I found you. If you are on Facebook I will look you up there too. Thanks a bunch! Thank you for the opportunity to make this lovely star. Thank you so much for the pattern. 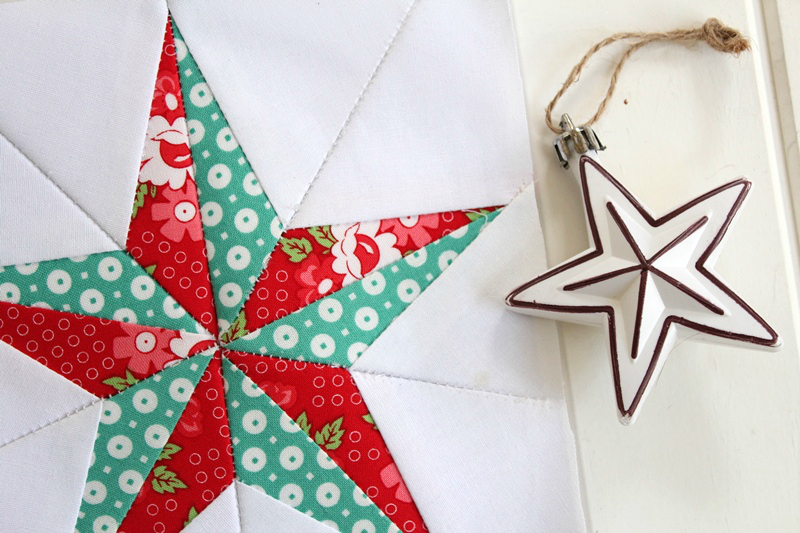 I haven't been quilting for long and I recently learned how to do paper piecing so I could make the curvy log cabin Christmas tree with a star on top--and this will be the star! Thank you,thank you,thank you!!! This is so wonderful. I love this star! Your kindness and generosity is greatly appreciated! 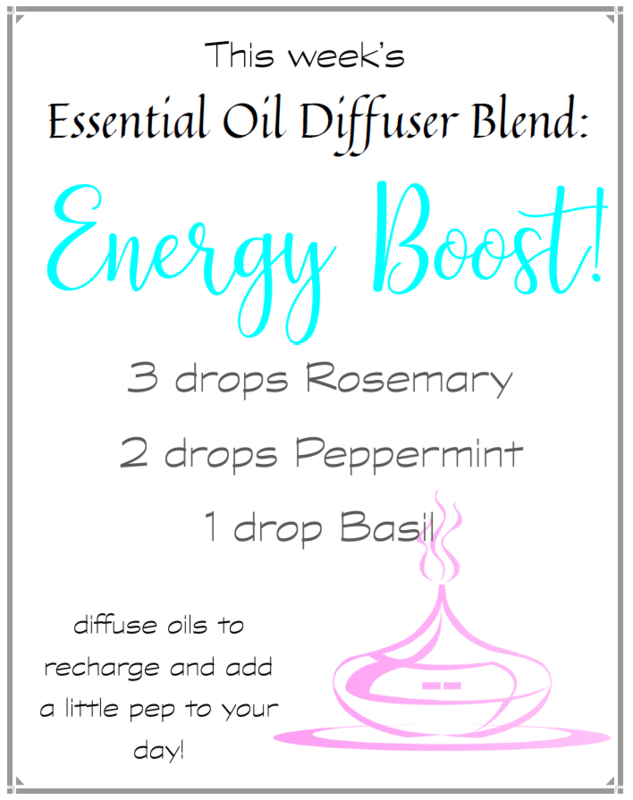 Hi, just found this through Pintrest and wanted to say thanks! Love the design! Thank you for your Christmas star pattern. I've been looking for a block to offset some hexie blocks. I problem is my hexie blocks are 12 inches finished. I could put a border on each star block, but I wondered how can I enlarge the 10 inch to a 12 inch block? Thank you for posting this star pattern! Very pretty!! Thank you for the Christmas star. It is very striking. Can't wait to make some. Thank you for the beautiful Christmas star pattern. It is very striking and I can't wait to make some. Thank you for this lovely star pattern. I just bought your Yuletide pattern also. It’s lovely . And you deserve to be rewarded for your work! Merry Christmas Rose. Thank you so very much for generously sharing your pattern. Love the star pattern. Thank you so very much, look forward to trying to make them! Hi Love your Star pattern - I really enjoy quilting have just started to pick it up again after retirement. 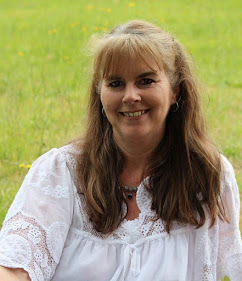 Carolg4@gmail.com - shall look forward to following more of your work and ideas. I came here from Jacqueline Stevens site. This is a beautiful pattern. Thank you. Don't usually like paper piecing, but this is just too wonderful to pass up! Hi. I printed out your pattern! Thank you so much for it, it is beautiful. I also needed a 12 1/2" block so I tried to resize myself. It came out but not that good, would you happen to have any advice or direction on how to accomplish resizing. Thanks so much!